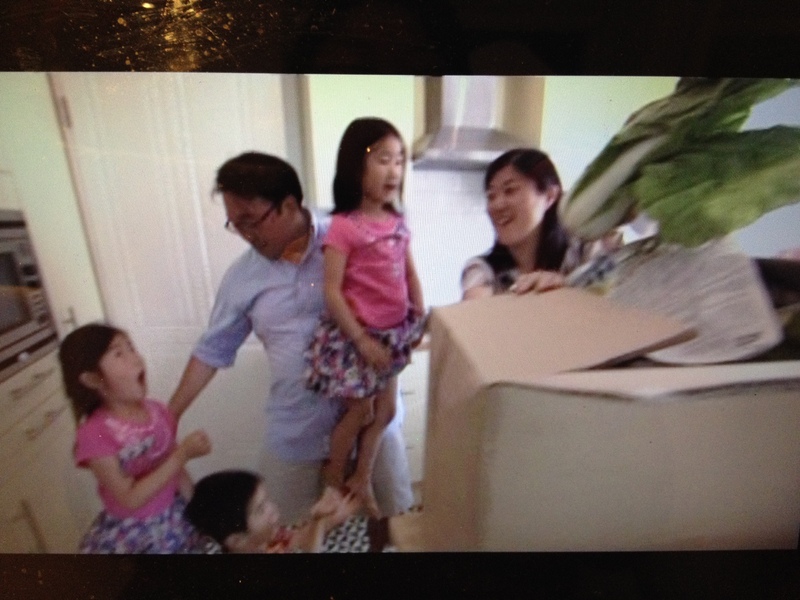 Recently, our family was featured on the HGTV show House Hunters International. If you are an expat living outside of the United States, then you would not have been able to see it when it aired last Thursday on HGTV. I am working on figuring out how you can watch it from outside of the US. 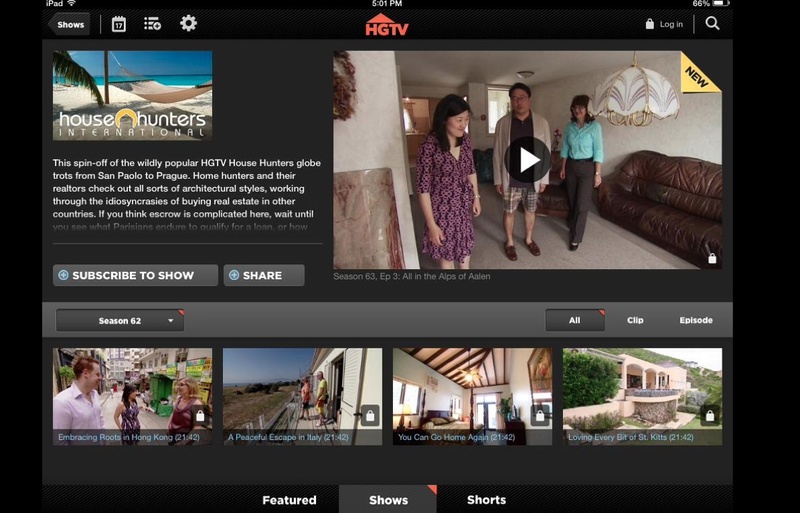 If you have unblocked access, you can currently see our episode on the HGTV iPad app. I’ve been asked a lot by friends on details of how the show was made. Even though it is a well known secret how the show is made and in fact there is no attempt at keeping the process a secret, I don’t feel comfortable spelling out the nitty gritty in fear that it does violate my agreement with Leopard Films. One thing on the show that I wanted to talk more about though was one of the final scenes when I opened the box of bae-chu also known as Chinese or Napa cabbage. It’s funny because that was the first time I had ordered it instead of buying it locally. If I recall correctly (this was back in July), I was making a big order to Shinhan – my first time using them. I was probably ordering more white and brown rice and a few other staples and noticed that they were selling bae-chu at a reduced price. Well, as we know, when vendors are selling their goods at a discount, it probably means that they have an abundance or that it’s really gotta go, i.e., not so fresh. I think this box fell in that latter category. I somehow mentioned this order to my show producer, Ethan, probably when talking about one of my main activities – cooking Korean food. One of his jobs was to get to know us better and tease out our hobbies and passions which could be woven into the story line of the show. Of course the question of where I got most of my ingredients came up, and in addition to talking about buying whatever I could at the market or in grocery stores, I mentioned ordering some things online recently. Ethan, who was a real hoot to work with, got into the idea of shooting me opening this box of cabbage and incorporating this into our episode. So the box of cabbage came a few days before taping and sat waiting in the basement. Then I opened the box and pulled out a head of cabbage for the camera. “Tada!” Then away back into the basement it went. When I finally unwrapped the rest of the cabbage after we recovered from the intensity of filming a reality TV show episode over three days, it was not a big surprise that at least half of the cabbage had started to rot. This is a shameful confession of food waste. We salvaged what we could, but the annoying thing to realise was that I liked the sweeter German Napa cabbage that I usually bought at the market or even at Netto better than these giant discounted Korean cabbage heads that were a lot tougher. I also didn’t like the idea that I had been caught on camera shipping in an ingredient that I normally and easily get locally. Especially since I go around glorifying how one of the best things about living in southwest Germany is how fresh and delicious the local produce is. Oops. That’s the only regret I really have about making our show. It was otherwise a fun and amazingly memorable experience. My husband and I were surprised by how “amazing” we found the process. We loved being able to spend some intense time together, and it was really neat to learn how to make a TV show. In fact, that was challenging at first – to have to repeat scenes for different camera angles with the same amount of sincerity and emotion and not get caught up feeling fake about it. I think the other reason why our show worked so well was that we really hit it off with our film crew. We got to know each other over the course of that intense weekend and genuinely like each other. They did a great job in trying to bring out the best in us. I joked a lot about becoming the Korean Khardashians after that positive experience, but although we were told that “the network loved us,” I think we’d be better off focusing that kind of intensity on other endeavors, like actually cooking Korean food. Tags: Aalen, bae-chu, baechu, chinese cabbage, House Hunters International, House Hunters International fake, Jane, Jane and Johannes, Johannes, kimchi in Germany, Korean food in Germany, Korean groceries in Germany, Napa cabbage, Shinhan. Bookmark the permalink. They also asked me to do one last year, but alas, I live in a WG so I didn’t qualify. I hope I can see your episode on YouTube or something! It must have been so exciting to make! I recommend doing it actually! Maybe on your next move??? If I figure out a way to post our episode, I will definitely post it here.